that might otherwise wither for lack of exposure to the sunshine of publication. Nancy Ward (Nan’ye hi) c. 1738-1824, was titled the Ghighua or Beloved Woman of the Cherokee. As such, she had the right to sit on council meetings and to commute sentences of death. One story tells of her saving a white woman named Mrs. Bean who had been captured and about to be burned at the stake. 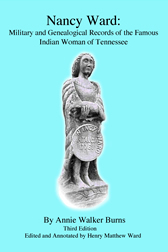 Nancy Ward kicked the tender aside and declared, “No woman shall be tortured to death while she was Beloved Woman!” How Mrs. Bean repaid her savior by teaching the Cherokee both how to weave and how to make dairy products had a significant and lasting effect on the Cherokee civilization. Nancy Ward also saved the white settlement of Watauga by warning them of an impending Cherokee raid. The whites thereafter considered her also “beloved.” Some of her own however consider her a traitor by this act, but her intentions were to save her own race from the inevitable retribution the unending number of whites back in the East would have exacted for any massacre. 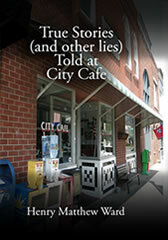 Nearly every town has a City Café. They are typically a "meat & three (vegetables)" genre of home-cooked fare, and considerably more casual than the deportment of other restaurants. To this extent, they frequently have a table or two that are called the community table. At these tables, anyone is welcome to join for a cup of coffee or a meal. Here, they will hear the town’s gossip, funny stories, jokes, the glad-handing of political hopefuls and the whoppers that justify their alias . . . the liars’ table. They are jovial a oasis where good-fellows meet as much to talk as to eat. This book contains a collection of those conversations, humorous monologues, and sometimes touchingly true stories that the author (who might be more accurately titled compiler) has collected over his past 50 years of attendance at this seat of knowledge in Murfreesboro, Tennessee. All the story-tellers in it are real people that have indeed frequented the Café, and their names have not been changed to protect the innocent (or the guilty). 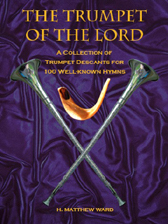 The Trumpet of the Lord is a book of over 100 trumpet descants for familiar Christian hymns. They are written to be played by trumpet along with congregation singing, or can be used as solos for church. The accompaniment can be played directly from a standard hymn book (not provided) either as written or with the typical embellishments many pianists or organists do, as long as the basic harmony is not altered. Most of the descants are for one (Bb) trumpet, but a few are written for two and three trumpets. The level of skill required of the performer would vary depending on the hymn, but the typical ones require at least the level of a good high school musician. 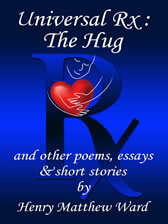 The Reader may recognize the title Universal Rx: The Hug from other sources. It has appeared in a Chicken Soup for the Soul book, in a Dear Abby column, on a greeting card and on dozens of websites in at least a dozen different languages. This current book of the author's poems, essays and short stories is a collection of his writings over the past 30 years. About half are serious or sentimental in nature and half are humorous. The former will likely bring tears while the latter will bring laughter. One only needs to read the opening suite of poems entitled Variations on a Candle to judge the word skills and insight of the author. While it displays ability to write in many different styles, his penchant is for rhyme and meter. Readers familiar with the James Hilton novel, Goodbye, Mr. Chips, about the life of a loveable and venerated British boarding school professor of Latin, would find much to compare with W. D. Mooney, except Mooney was real, more versatile and more venerated. The comparison was apparent to one writer for the Memphis Appeal when, in 1938, he wrote about a most unusual retirement party given by former students of Mooney and titled the article, No More Goodbye, Mr. Chips. Mooney had just completed over 50 years of teaching, coaching and being several schools headmaster without missing a single day of school for illness. Those present or sending telegrams included the very top of business and military leaders from around the country. So great was their love and admiration for the educator, the donations collected by the organizer of the party provided for the purchase of a very nice house and monthly stipend for Mr. & Mrs. Mooney's retirement, even though some of the students had not seen their mentor in nearly half a century. He was among the earliest graduates of the famed Webb School before it was removed from Culleoka to Bell Buckle, Tennessee. 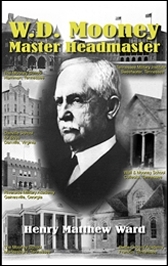 He was founder of Battle Ground Academy in Franklin, Tennessee, the Mooney School of Murfreesboro and subsequently Harriman, Tennessee, and for many years the Academic Headmaster of Riverside Military Academy, Gainesville, Georgia.